Home / 80's Fantasy Movies / Black Angel to be released in 2018? Black Angel to be released in 2018? I've been hearing about a Black Angel movie for years. After a successfully funded Indiegogo project 2015, it appears that it is now going to be released in 2018. If you've never heard of Black Angel than you are not a child of the 80's. 35 years ago, Star Wars Set Designer Roger Christian came to George Lucas with a script called Black Angel. Lucas commissioned it on the spot. That 25 minute short, made with a tiny budget and an even smaller crew, played in front of Star Wars: The Empire Strikes Back screenings in England, Scotland and Australia. It went on to inspire a host of fantasy cinema classics, from Star Wars itself to John Boorman's Excalibur. And then it was lost. Having been found after 35 years, and released on YouTube to a fantastic reception, we’re bringing Black Angel back as a feature film. Think Game of Thrones meets Valhalla Rising, Excalibur meets Lord of the Rings. A powerful tale of ancient Celtic magic and Nordic Paganism, it’ll be gritty, dirty and heroic – everything great fantasy should be. 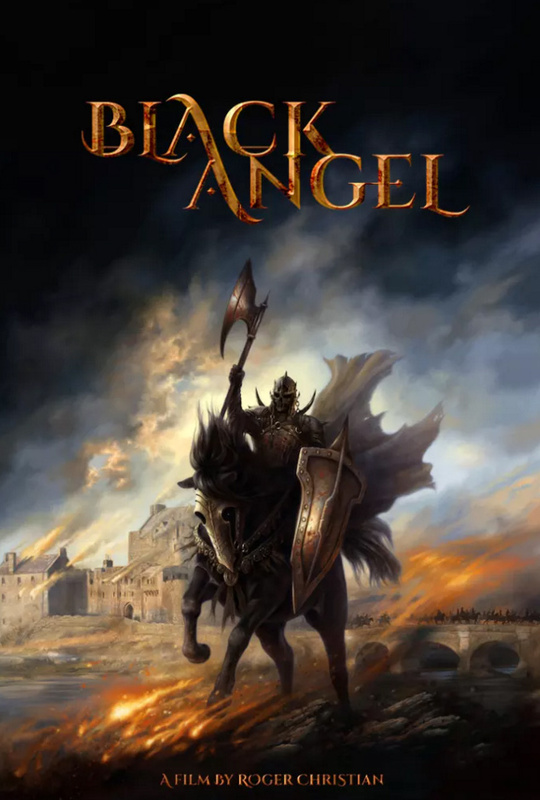 The story follows a knight as he journeys deep into the dark underworld with the daughter of a rival king, to meet the face of evil itself and fight the Black Angel in combat. Full of drama, action and heroism, pure light is pitted against eternal darkness and damnation. "In making this film, we want to return to the visceral physical action of classic fantasy films, like Conan the Barbarian and the original Star Wars. We will mainly rely on practical effects to bring the world of Black Angel to life, with CGI integrated into the film only when absolutely required." Says Roger Christian. Check back for more updates. Let's see if it happens.